“Why doesn’t he use the gun? We’re getting torn apart and he’s just staring at the head vamp, Great Lord, big cheese, whatever he calls himself. Colin tumbled across the cavern floor, his arm bleeding heavily through the tattered shirt sleeve, his head ringing from the side-swipe that had felled him. His revolver was long gone, knocked from his grip early in the fight it had tumbled end over end into the shadows, out of reach. Colin’s hands felt empty and useless as he balled them into fists and struggled to his feet once more. Conor and Rafe were valiant in their efforts to fend off their attackers and Colin briefly marvelled at some of the moves they were pulling from their bag of slayer tricks. One of the vampires was already laying dead in the corner, its neck snapped and its chest gaping a bloody testimony to Rafe’s skill with a pointed stick. And as for Macfadyan. He was doing nothing. Standing silently, his eyes shining in the firelight, he was cradling the Dalek gun in his hands and staring at Stackmore - who was watching the battle with undisguised glee. Colin ducked a vicious swipe that almost took his face off, then struck out with a punch to the throat that would have killed a normal man. 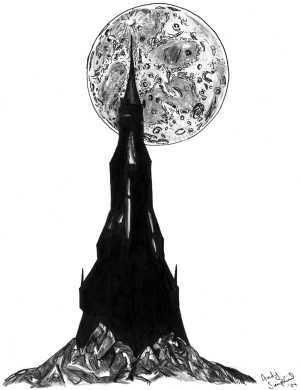 Macfadyan’s gaze flitted briefly to his friend and down to the weapon in his hand before returning to the vampire Lord. And still he did nothing. Cre’at sped through the silent trees, trying his best to dodge the snowflakes that floated lazily around him. He had assessed their chances of success based on the discussed plan and, although there were obvious dangers, he had judged the odds to be fair to good. Running out of serum had not been a possibility - he had watched Macfadyan prepare the recipe and there had been enough. Which meant the Time Lord had not handed over the entire stock. But why? True, he had not agreed with the plan to cure the Turned - preferring, instead, to rule over a slaughter - but would he deliberately sabotage the efforts of his friends and colleagues? Would he risk Blanche’s life just to get his way? With an almost human jolt of realisation, Cre’at thought back to the conversation in the King’s Cruelty. Macfadyan had not gambled on Blanche offering to stay and fight. He had not expected her to be in the village when the Turned attacked. He had expected the village to be over-run - expected a slaughter. Would he risk Blanche’s life just to get his own way? Cre’at suspected that he had his answer. And it was not acceptable. With a whirr of servos he sped up, zipping through the forest towards Macfadyan. As a career soldier, Colin was familiar with battle and had taken down his fair share of enemies in hand-to-hand combat. But this was the first time he had been afraid. He and the slayers were peppered with injuries and his arm was heavy with pain and beginning to give him real trouble, his fingers tingling with the bite of pins and needles. The vampires had backed away, almost as if they were regrouping, and Colin was able to scramble across the floor to retrieve his revolver before standing shoulder to shoulder with his friends. Most of his friends. Macfadyan was like a statue, glaring at Stackmore as the creature grinned back at him. Rafe nudged him; “Forget him. Concentrate,” and Colin snapped his attention back to the task at hand. With a howl, the Turned threw themselves at the slayers and the battle was joined once more. As one of the creatures descended on him, teeth bared, Colin took panicked aim and fired off one precious round. The creature’s forehead exploded in a bloody mess and it slumped to the ground, twitching. Something slammed into his back and Colin found himself fighting off a hissing, spitting opponent who was intent on tearing his face off. As he fought for his life, Colin saw a silver blur fly into the cavern and hover before the Time Lord. Clawed hands closed round Colin’s throat and the Turned began to slowly throttle him. With a growl of rage, Colin threw the vampire from him, his throat burning as one of the creature’s claws tore into him. The Time Lord stared at him, the Dalek gun clutched in his hands - and suddenly Colin was flying. His feet left the ground and his back slammed against the cavern wall as clawed fingers dug into his shoulders, holding him in place. He kicked out frantically, trying to wriggle free but his feet were flailing in thin air, the stones in the wall rasping painfully at his back. Raising his head, Colin stared aghast into the grinning face of Stackmore. The vampire licked his lips, allowing his tongue to play over his horrifically sharp teeth as he hoisted the struggling soldier higher. Behind him, the battle between the vampires and the slayers raged on and Colin gasped as a vicious blow to the face floored Rafe. Holding Colin against the wall as if he weighed nothing, Stackmore flashed out a cruel hand and, as one, the Turned stepped away from the battle and slinked back into the shadows. The silence was thick, broken only by Colin’s gasping breaths as Stackmore’s grip irritated his wounds. Colin swallowed painfully as anger darkened the vampire’s eyes. He cried out as Stackmore’s talons dug deeper into his tortured shoulders. He turned his malevolent glare back to Colin. And, to Colin’s horror, the monster pinning him to the wall started to grow, its muscles bulging, its bones cracking before it was towering above him like a malformed giant. A scream tore from the soldier’s throat as the vampire’s skull turned to face him - while the creature’s unmoving face grinned back at Macfadyan. Colin sobbed in terror as the creature’s skin undulated before him, the outline of teeth tightening against sinew and muscle. As the skull came closer, Colin heard Macfadyan chuckle, “Oh I knew exactly what you were. I just needed you to show me.” And he reached into his coat, pulled out the second vial of serum, jammed it into the barrel of the Dalek gun and fired. Some one was kicking him. Colin blinked, his head throbbing, and frowned at the battered figure of Rafe as the slayer nudged him with the toe of his boot. And the slayers left the cavern at a run, Cre’at bobbing along behind them. With his first unsteady step, Colin felt his arm and shoulders scream in protest. He looked across at Macfadyan. The Time Lord was crouching next to the remains of the very dead Stackmore. The vampire’s skull was a shattered mess and he was spread-eagle on the floor, his clawed hands reaching out towards the shadows where his Children now cowered, subdued and bound by the slayers. “The gun wouldn’t work on him while he was in human form. He was too powerful, his energy was too compact. I could have pumped bullets of Eleanor’s serum into him and it would barely have tickled.